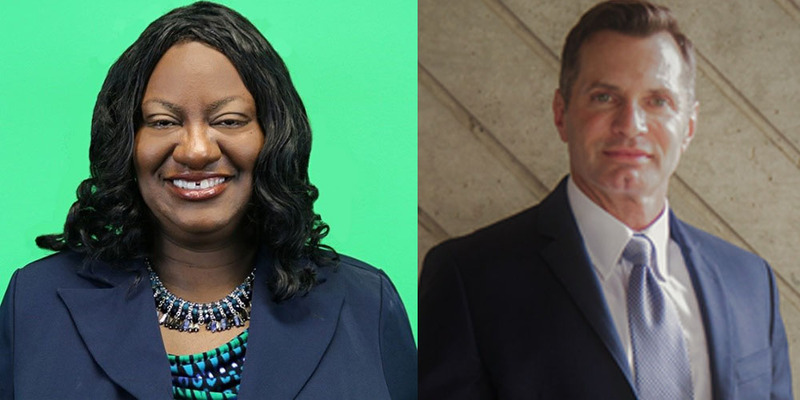 McNeal and Joyner, who officially begin April 1, will oversee the student services functions of their campus and will work to expand partnerships and build relationships with local leaders. They will replace Dr. Maria Vallejo, who serves as the vice president of growth and expansion and provost at both locations. She is retiring March 29. According to college administrators, the positions were created after staff at each campus expressed their desire to see one leader in place full time at each location. One of her focuses will be to connect students to businesses based upon their career interest. McNeal has 23 years of experience in postsecondary and secondary education. She began her educational career as a high school biology, chemistry and physics teacher and subsequently served as an instructional science coach, high school assistant principal of student services, vice principal of curriculum and instruction and principal of an International Baccalaureate magnet middle school. She has also served as an adjunct professor at Palm Beach State and Jacksonville University. Joyner has over 20 years experience in higher education administration and teaching. His career began as an academic advisor at Georgia State University in Atlanta, and over the years he has held leadership positions in all areas of student services and student affairs, including admissions, placement/testing, international student services, advising, financial aid, disability services, student life, and student conduct among others in both four-year and two-year institutions. In his most recent positions, he served as the chief student affairs officer, responsible for creating and implementing strategic enrollment management plans to meet institutional targets in enrollment, retention and completion. He has partnered with local middle/high schools in the development of dual-enrollment and early college programs and with business and industry leaders to develop competency-based education, internship and service-learning opportunities for students. He has a particular interest in working with students from the foster care system and developing programming to help students overcome homelessness and food insecurity. McNeal and Joyner will report to Dr. Peter Barbatis, vice president of enrollment management, on the Lake Worth campus.